This guest blog was written by Ben Sandhu, who joined the BGV team last autumn as part of our internship programme. Ben is now Global Head of Ambassadors at Streetbees. It was a good question, and one I seriously had to think about. I’d just come out of working for an exciting tech startup, and in all honesty I felt in some ways becoming an intern again was a serious step back. As you can imagine, I didn’t say that in the interview. Instead I answered largely with the reasons I had considered it in the first place. 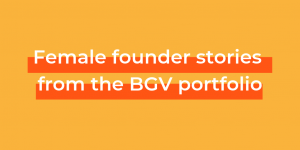 BGV had a great reputation in the social impact space, they have managed to produce some really notable alumni, they have a quality network of mentors and stakeholders and I wanted to learn how to build a business with people who cared about tackling some of the world’s most pressing problems. Thankfully, BGV really delivered on all of the above. Over the course of the internship I have met truly some of the most inspiring people, and learnt some skills that will serve me incredibly well going forward. The workshops alone have been incredibly useful. Even if you aren’t interested in running your own startup, learning how different people approach various problems gives you a lot to think about. 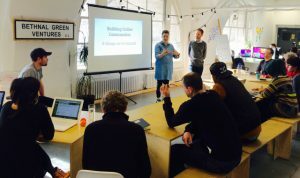 A service designer thinks very differently from a business development specialist, and learning the basics of topic areas as varied as these puts a lot of tools in your toolkit. The first couple of weeks you are encouraged to think how you would like to develop over the course of the next six months. Halfway through you revisit those goals and see if you are on track. Beside from this formal development, something that is really striking is how truly special the BGV community is to be a part of. It’s an eclectic mix of people from diverse backgrounds, but who are all passionate to see business be a force for good in the world. I think a large part of the reason why the community is as special as it is is down to the staff. Every single member of the BGV team (of which I’m sad to say I’m no longer a part) is dedicated, supportive, open and honest. I was amazed to see how willing they are at all times to help anybody in the community, no matter how busy their schedules. I felt privileged to be a part of it all. If you’re reading this and thinking about applying, I couldn’t recommend it highly enough. It’s been such an incredibly rewarding experience for me and it’s really given me so much confidence going forward. I hope it does the same for you. Applications for our autumn internship are now open! 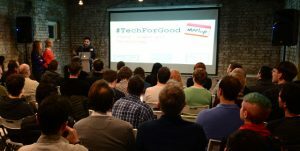 We’re on the hunt for a programme and events intern with a passion for startups and tech for good. Find out more here.